2. 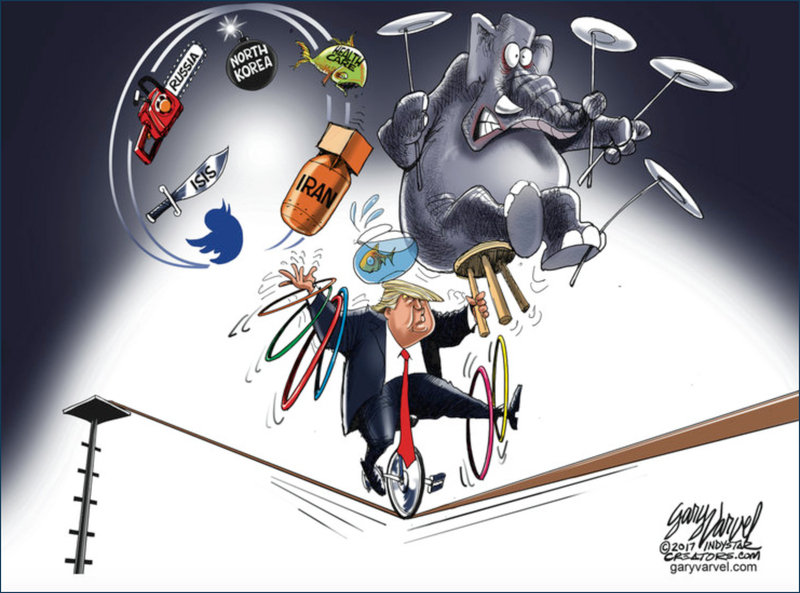 Cartoonist Gary Varvel titled his cartoon “President Trump has his hands full.” Do you agree with the cartoonist’s assertion about President Trump? Explain your answer. 1. Answer varies. Depends on your interpretation of cartoonists’ intended meaning.